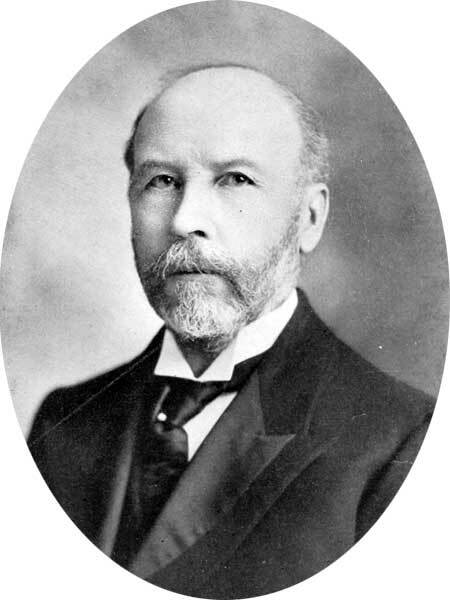 Born in Argenteul County, Quebec on 15 August 1839, son of William Byrnes and Agnes McKissick, he worked on the home farm after leaving school at the age of 16 until he was 22, when he found work in a sash and door factory. He came to Winnipeg in 1881 and, the next year, opened his own sash and door factory. In 1897, he sold the business to the Rat Portage Lumber Company and he opened a retail lumber business at Portage la Prairie in partnership with G. B. Housser under the firm name of G. B. Housser and Company. In 1900, he went into the lumber trade as a wholesale lumber and commission merchant. He was married three times, first to Sarah Jane Smith (?-1872) of Argenteul, Quebec in 1862. They had two children: Robert Andrew Byrnes and Elizabeth Agnes Byrnes. After her death, he married Anna Maria Johnson (c1847-1903) of Wellington County, Ontario on 25 February 1875. They had three daughters: Frances Emma Byrnes (b 1876, wife of George Stephen), Ada Beatrice Byrnes (b 1883, wife of R. R. Pattinson), and Alice Edna Byrnes (b 1890). After his second wife’s death, he married Sarah Jane Garwood at Winnipeg on 14 April 1909. He was a member of the Winnipeg Board of Trade, and for six years a member of the Winnipeg School Board. He died at his Winnipeg home, 233 Yale Avenue, on 21 July 1931 and was buried in Elmwood Cemetery. “Harry Byrnes dies at age of 92 years”, Manitoba Free Press, 22 July 1931, page 1. “Service in Grace Church for Henry Byrnes, pioneer”, Manitoba Free Press, 24 July 1931, page 34.